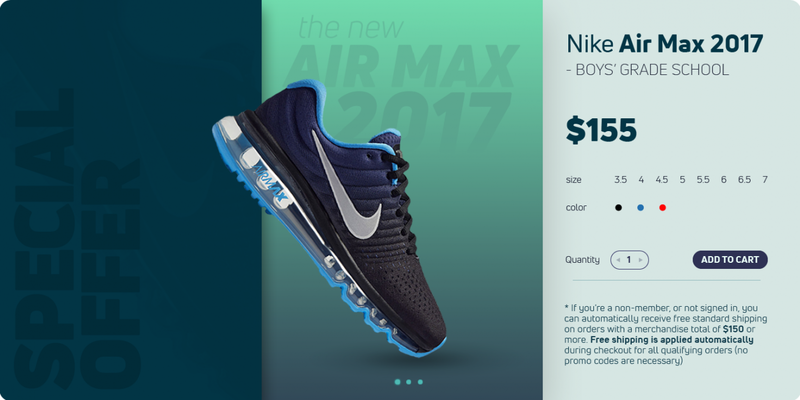 Uni Neue is an exciting update from Fontfabric, a sans font that is a home run for modern advertising and products. Let’s talk about branding. In the modern age where people from all over the earth are going to see your brand on a multitude of different platforms, it’s more important than ever to have a font that performs equally well across all mediums. At the same time, you want something distinctive enough that your product doesn’t look like everyone else. 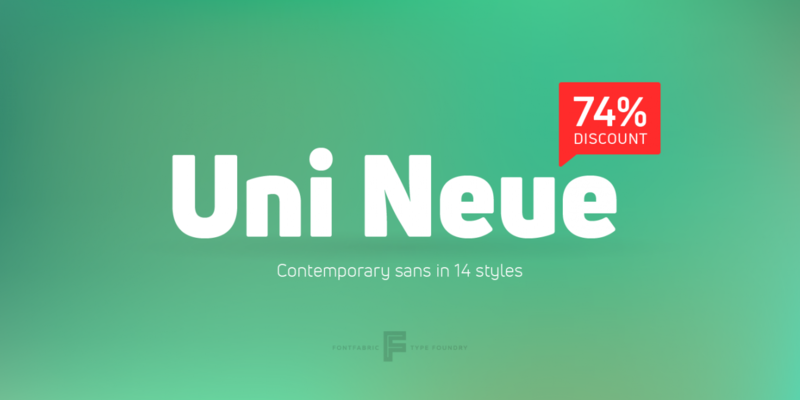 Uni Neue provides the best of both worlds. 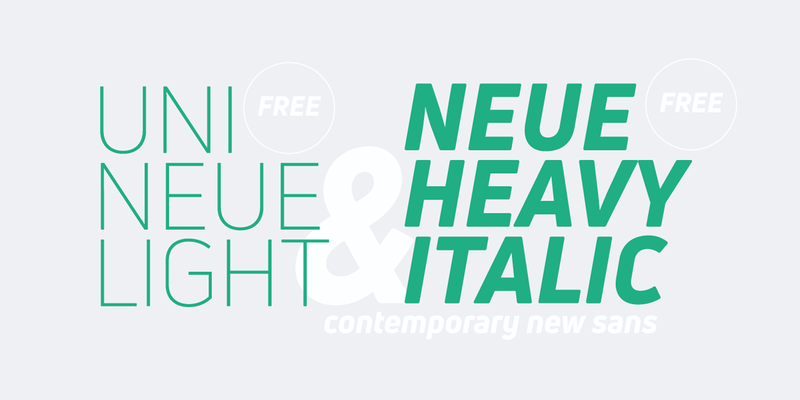 Uni Neue is a modern geometric sans redesigned from the original Uni Sans, which was released in 2009. 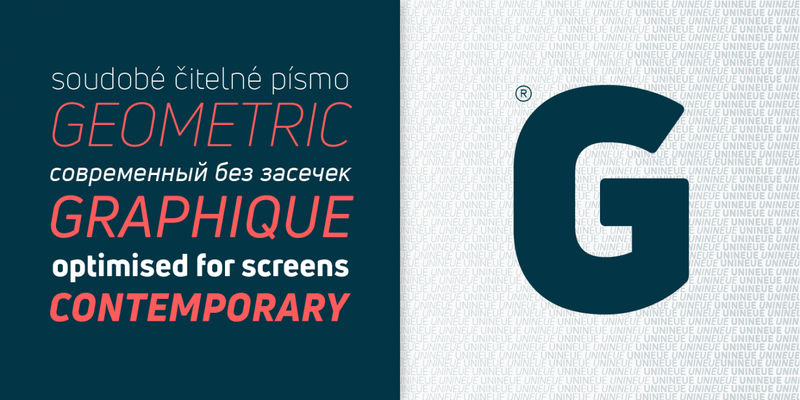 Fontfabric made a bunch of minor alterations, but changed proportions and thicknesses majorly, raising the quality level and modernizing the entire family. 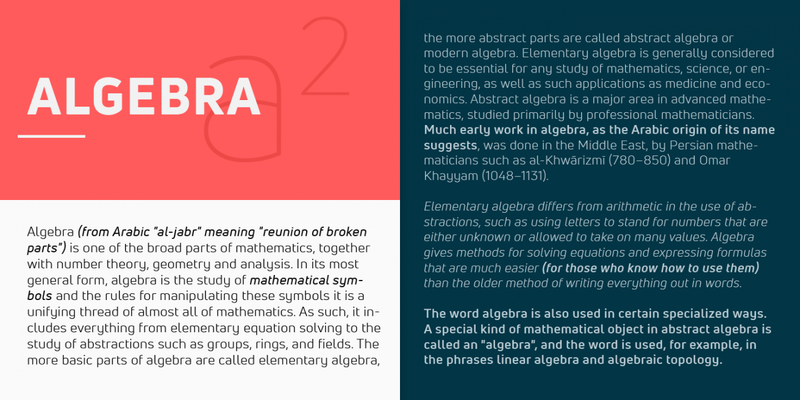 The result is a modern font that stands out, but also works just about everywhere. First, it stands out. 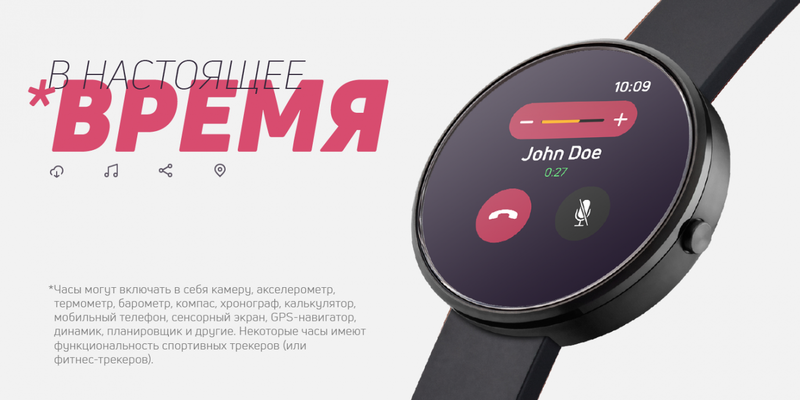 It has more rounded edges and a shape that plays with a futuristic vibe. Unlike the perceptions of future tech we had decades ago, these days we think of futuristic fonts as having a little more roundness and cleanliness to them. This shows your customers that your product is on the cutting edge, if not ahead of its time. At the same time, you have a font that’s easily legible across all kind of devices. While it looks great in print, it works equally well embedded and at small sizes on screens. This is the kind of font you really want if your campaign is going to be seen everywhere, digital and in print. It also has the weight variation to handle all of these areas - thicker weights for display and extremely legible thinner weights for text. With that said, it doesn’t have to be restricted to just these uses. Any time you need a sans for lots of text or a headline, Uni Neue can fit the bill. Plus, you can use the Light and Heavy Italic weights for free for desktop and web, so there’s no reason to not give it a try. At $47 for the whole family, it’s a steal. Happy designing!